The andalusite gemstone is quite unknown, which is unfortunate as it is a beautiful gemstone that displays multiple colors at once. It was first found in Andalusia, Spain in 1789, but has since been found in other localities. Most commonly the andalusite gemstone has a strong yellow green color. However it can be found in other colors such as pink, violet, red, white and grey. Its most important property is that it is pleochroic, which means that it changes color when you look at it from a different direction. Usually when gemstones exhibit pleochroicism they are cut in such a way that only a single color can be seen. 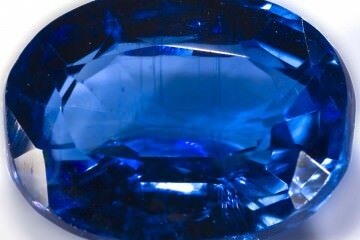 This can be seen in tanzanite gemstones for example. This is not the case with andalusite. They are cut to get the maximum out of this special trait. When looking at a high quality andalusite gemstone you can see magnificent color patterns, reminding of iridescent gemstones such as pearls. Most andalusite minerals are never fashioned into a gemstone, they simply aren’t worth the effort. Andalusite is fairly cheap and currently there are no economic mines in operation. 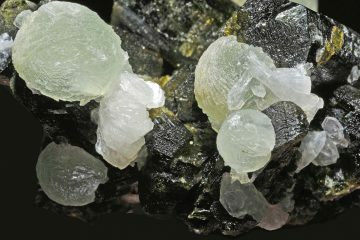 Almost all andalusite currently reaching markets is found when mining for other minerals and gemstones. 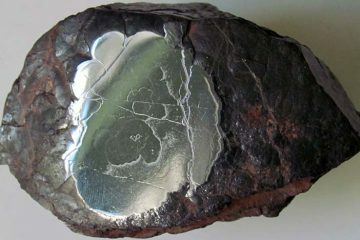 Chiastolite is a common variety of andalusite. This opaque gemstone contains inclusions of clay or carbon. Which can sometimes make it look like a dark cross is present in the gemstone. As mentioned before andalusite was found in 1789 in Andalusia, Spain. It was known as poor man’s alexandrite, because it can change color for a far lower price. However andalusite is not a true color change stone like alexandrite. It does not change color under different light, because all its colors are there at once. Andalusite can be found in almost any region that has had a history of mountain-building. Currently andalusite is exploited in Sri Lanka, Brazil and the USA among others. 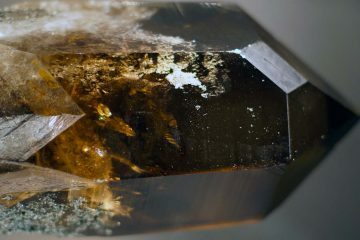 Andalusite has a high hardness, usually around 7 on Moh’s scale of hardness. It is also quite resistant to scratching so it can be worn every day. Because of its hardness and scratch resistance it can be cleaned by a ultrasonic jewelry cleaner or a steam jewelry cleaner. However lukewarm water with some soap will usually do just fine, it just takes longer. Andalusite is a fairly common gemstone in nature. However, the fact that it is hardly being mined makes it a rare find in most jewelry shops. If you are trying to buy andalusite jewelry it pays to ask in advance whether the store carries any. Most of the larger chains won’t be carrying it and most likely you will be forced to try your luck at the smaller specialist shops. Andalusite is not being enhanced and there is no synthetic andalusite on the market yet. This makes it easier to find the right stone, however keep in mind that some dealers can and will sell colored glass or quartz. So make sure you are dealing with a reputable jeweler that has a return policy. Cut and color are the most important properties of an andalusite gem. If there is violet present in the gemstone it commands a premium due to its rarity. The best way to deal with the scarcity of high quality andalusite jewelry is to purchase a loose gemstone and get the andalusite ring or pendant to your liking. Most loose gemstones vendors can set the stone for you or will know of a jeweler that can. Though high quality andalusite can be quite hard to find, it really is worth the effort. You will own a very unique gemstone, that most people have never even heard about. 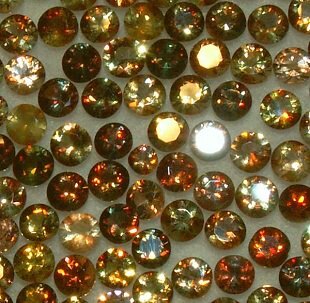 A gemstone with beautiful earth tones that changes color when looking from another direction. All this at a price far below most of the mainstream gemstones such as a diamond or aquamarine.